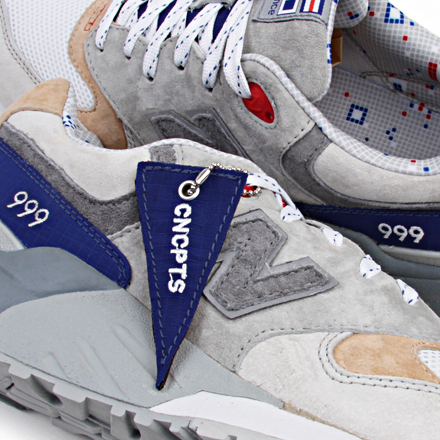 Simply the best and the most hyped NB release in 2011! Concepts and New Balance's latest sneaker was recently given the front cover for Sneaker Freaker's 20th issue. Following the preview last week, here's a full look into the sneaker which takes its inspirations from none other than John F. Kennedy. Kennedy's love of sailing forms the basis of the sneaker's design with the use of sailing flags as a theme through the liner. Different materials also occupy the upper such as ripstop nylon, suede and mesh. 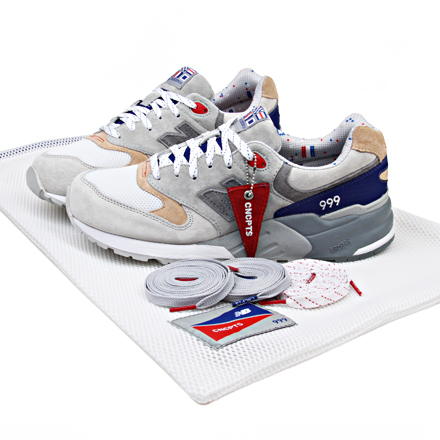 Comes with original box, 3 sets of extra laces, Concepts flag keychain, Concepts shoe bag.